I'm a bit late but I'm here. Do I get like half credit? 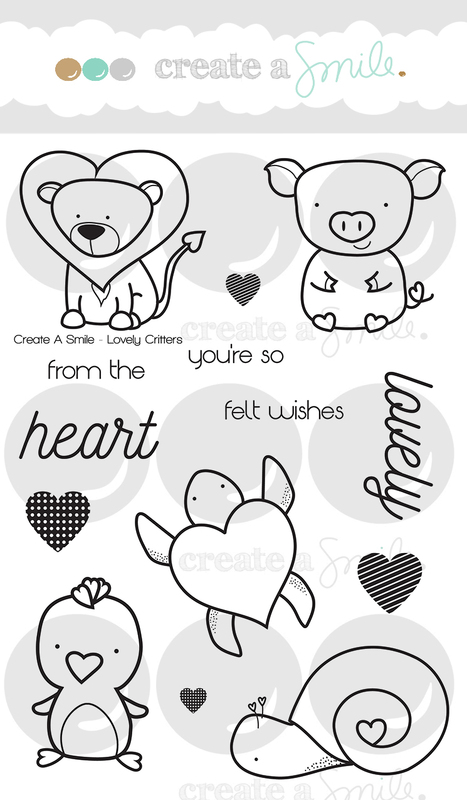 We are in the middle of the new Create A Smile Release and I have never been so excited for Valentine's Day. 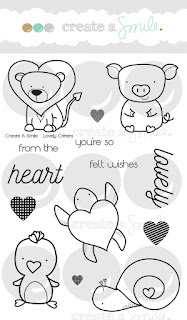 I used Lovely Critters today and Oh the cuteness! I do have a video and right after I FINALLY get my Christmas tree up (Don't judge me.) I will edit it and get it posted. Kelly this is gorgeous - love your background, and it really makes the lion 'pop'. Very cute stamp set!! Gorgeous card! Full credit given cause the background rocks and apparently I just put myself in charge of the decision bwahaha! Love that little lion too! Pretty background for that adorable lion. Hi Kelly, I absolutely LOVE your style of card making. I see the only store within the USA to purchase Create A Smile stamps is Butterfly Reflections, however it doesn't appear they offer all their stamps. Have you ordered from them directly? Is it expensive shipping wise and is their customs? I apologize if this isn't the area to ask but couldn't find a e-mail address to ask you. Thank you. 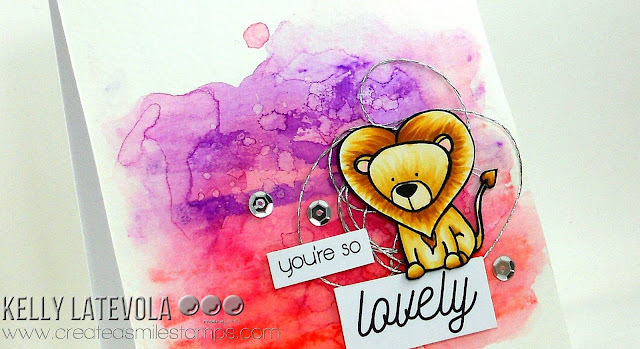 Simply fabulous card...just love your sweet lion and wow...what an amazing background!